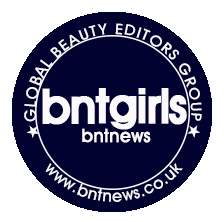 This month's BNT Beauty Box has been a good mix of makeup and skin care products and for the most part I am very pleased with all the items I got. 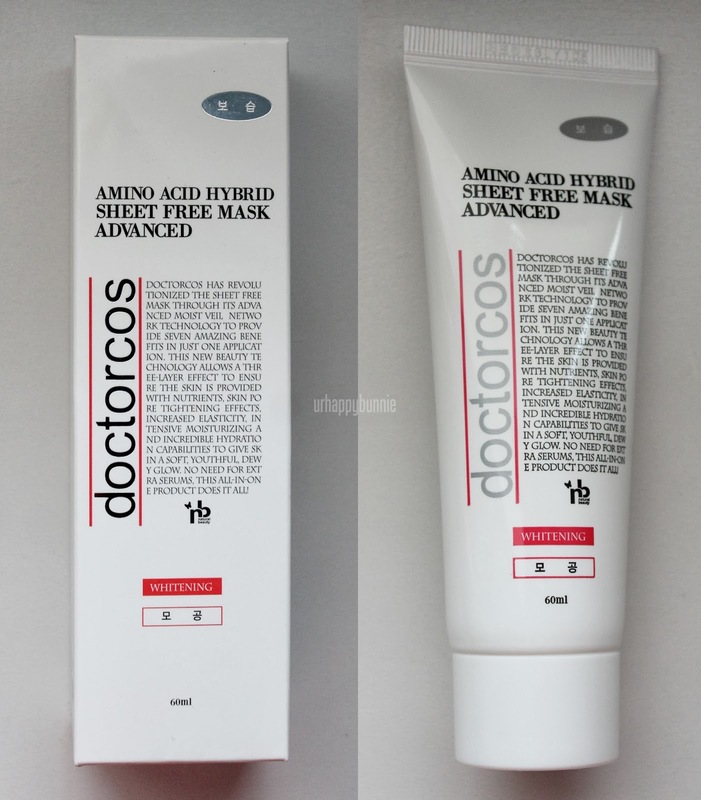 The last product I'm reviewing is the Doctorcos Amino Acid Hybrid Sheet Free Mask Advanced which I heard is quite popular in Korea. "Doctorcos has revolutionized the sheet free mask through its advanced moist veil network technology to provide seven amazing benefits in just one application. This new beauty technology allows a three layer effect to ensure the skin is provided with nutrients, skin pore tightening effects, increased elasticity, intensive moisturizing and incredible hydration capabilities to give skin a soft youthful, dewy glow. No need for external serums, this all-in-one product does it all". The product packaging is quite simple and the box reflects the squeeze tube that is inside it that contains the actual product. There are no other English instructions in the box except for the description and claims so I was a bit confused on how to use this product at first. Since the name of the product says "sheet free mask" I misunderstood it as being a wash off mask - the kind where you leave it in your face for around 15 minutes before washing it off. I had to do some researching around the web and found out that it is meant as a face lotion that mimics the feel and effects of hydrating sheet masks on your skin that you can apply in the morning and evening. I kinda have a love/hate relationship with this product. I love how it feels when you apply it on the face. The product is thick and a slightly opaque, white color but the consistency changes once you apply it. Similar to the Nature Republic Super Aqua Max Combination Watery Cream that I have previously reviewed, it felt like water but it has a bit more slip to it. The kind of slippery feeling when using silicone based face primers but not too much. It is exactly how the juices of sheet masks feel and it even smells like it too. Another similarity with the Nature Republic Super Aqua Max Cream that I have noticed is that they sink to the skin almost around the same time period and once they do, it gives you a matte but not dry face. It is not overly hydrating either which is a bummer because I really wanted something more hydrating for my overly winter-dry skin. The similarities between the two products end there. Whereas the Nature Republic Super Aqua Max is great as a face primer for me, the Doctorcos Amino Acid Hybrid Sheet Free Mask Advanced (really quite a mouthful for a product name) is not the best in that field. BB cream applied on top of the lotion was sliding all over and it looked patchy and uneven. This is the part I hate about the product. Since it is not hydrating enough, I can't use it as a night time moisturizing cream and I can't use it as a face primer either in the morning. The thing about this though, my skin looked brighter and my skin tone has even out during the past 3 weeks I've been using this product so I can't really say that this product is not working well. In fact, it works quite well except for extreme hydration. I believe that if this product is used by people whose skin type is more on combination to mildly dry, this will work out perfectly. I'm quite sad that this product didn't really suit me but I have been using this in conjunction with the BRTC Jasmine 3D Whipping Essence from my BNT Beauty Box a few months back. With a serum as a base, it provided me with just the right amount of hydration for my night time skin care routine. Awesome review! Love the before/after pictures! The way you describe it, it sounds great but perhaps not if you can't fit it in as a night cream and not really under BB. Looks interesting! I'm always looking for products to brighten up my face :) Darn you acne scarring! Wow! That looks like a great product!